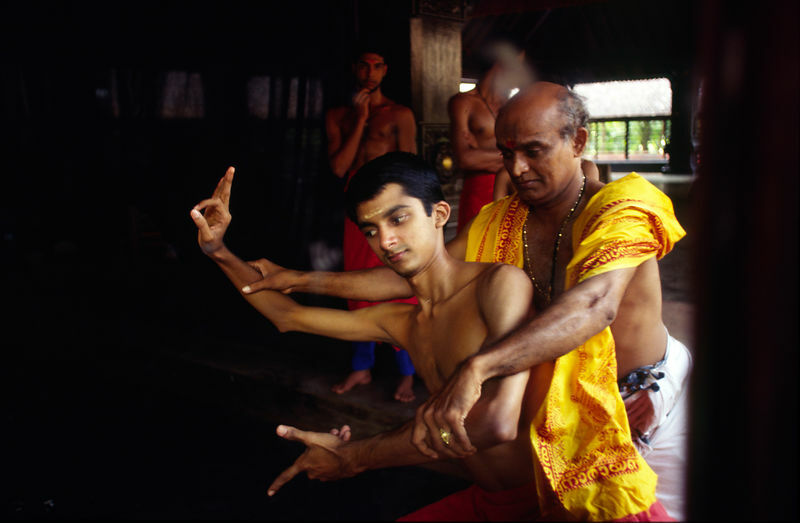 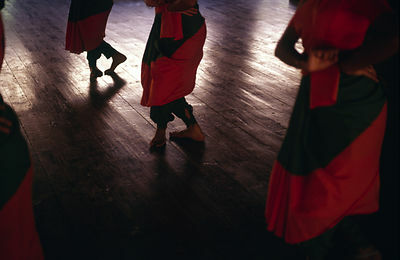 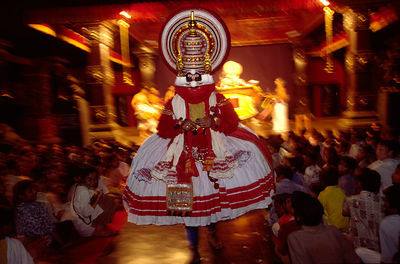 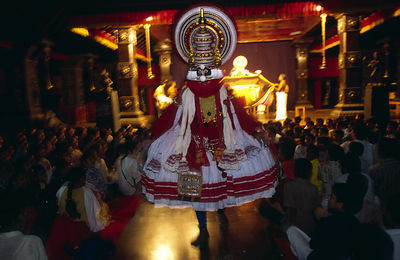 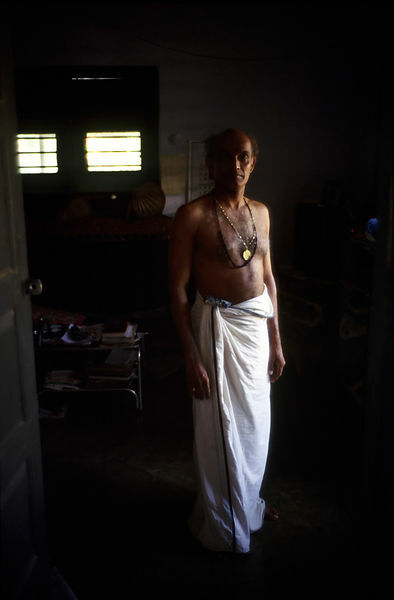 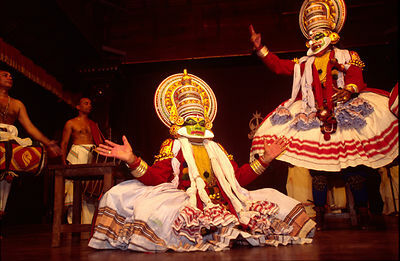 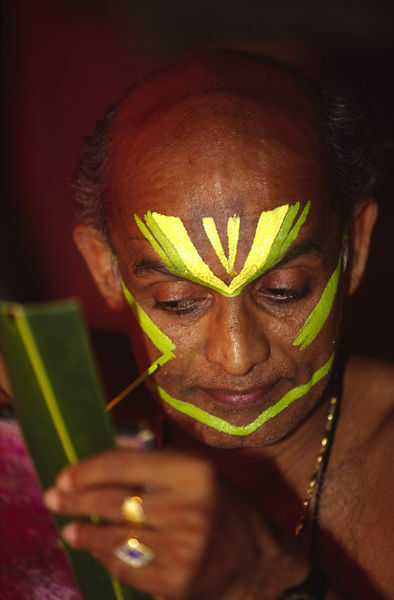 India - Kerala - In a mirror, Professor Balasubramanian, a senior teacher of Kathakali shows a student a difficult step in class at the Kerala Kalamandalam. 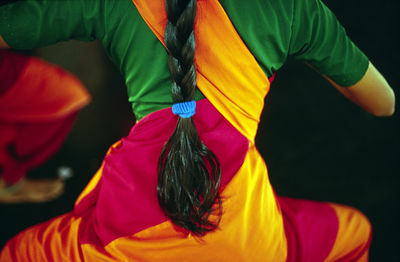 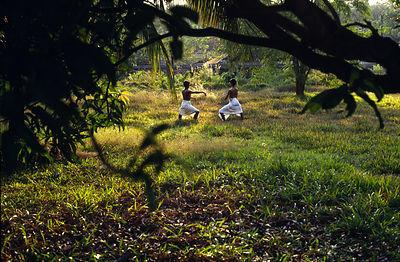 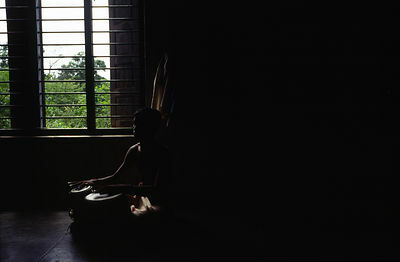 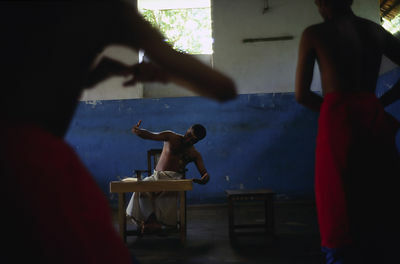 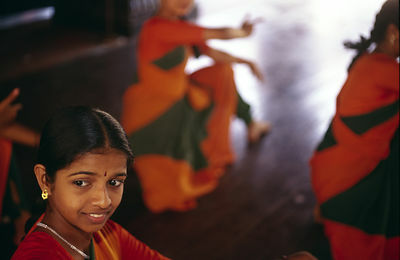 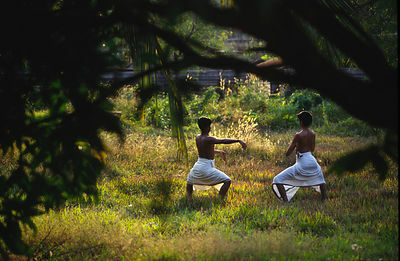 India - Kerala - A boy performs flexibility exercises after a massage by his teacher. 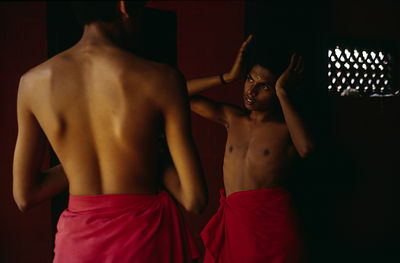 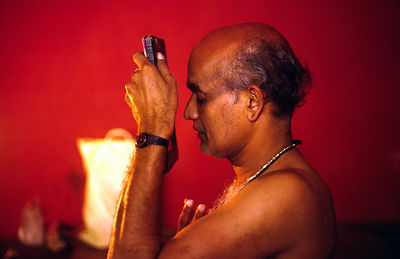 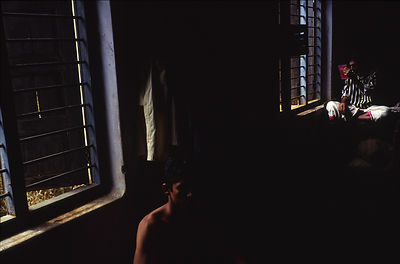 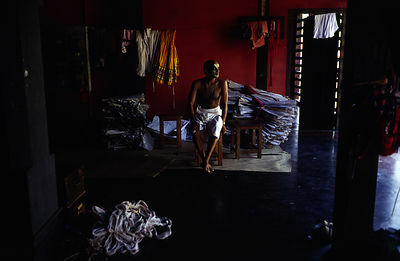 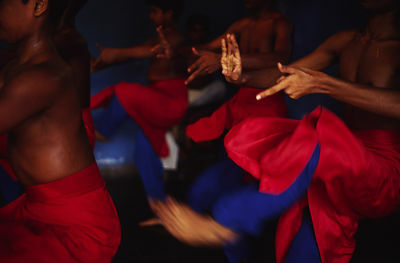 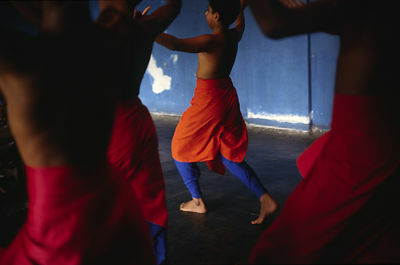 India - Kerala - Boys oils themselves before a massage by his teacher at the Kerala Kalamandalam. 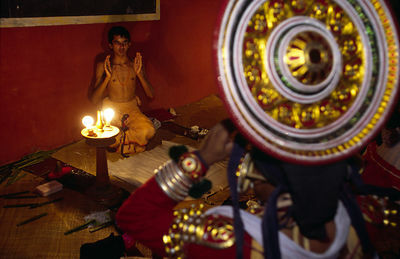 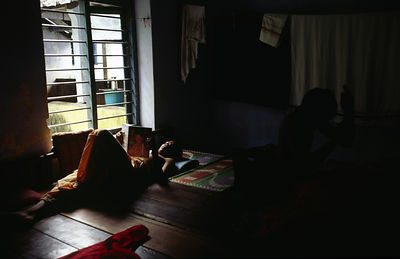 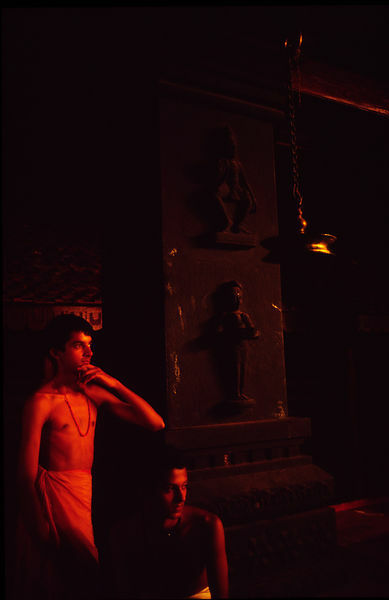 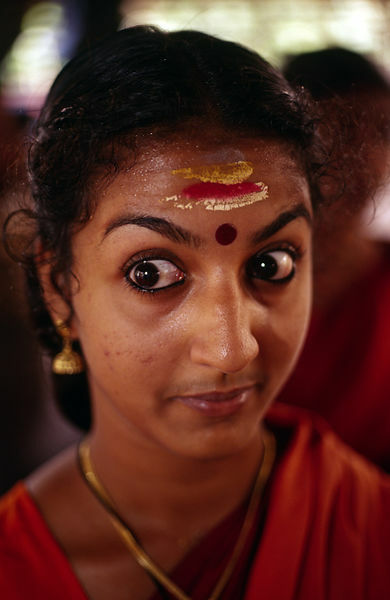 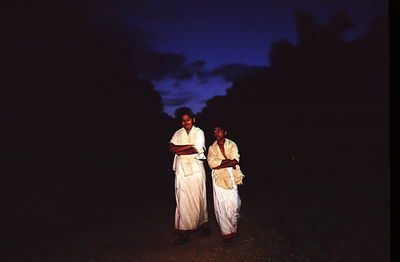 India - Kerala - Boys practice eye exercises at dawn in a class at the Keralan Kalamandalam. 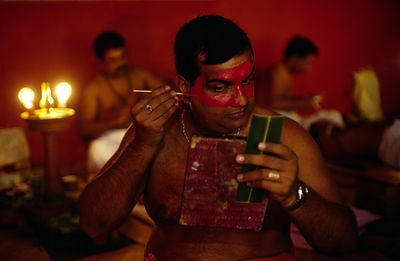 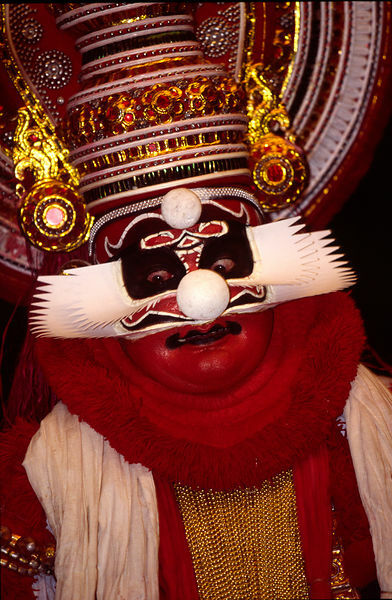 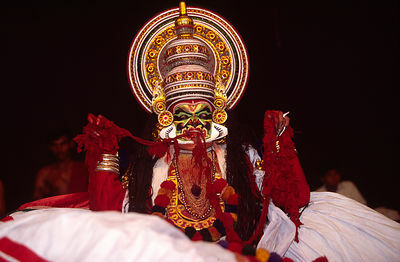 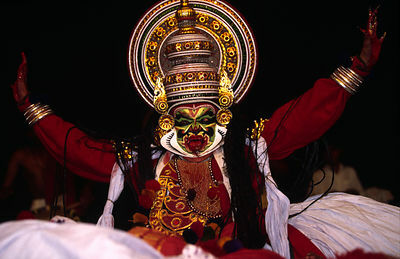 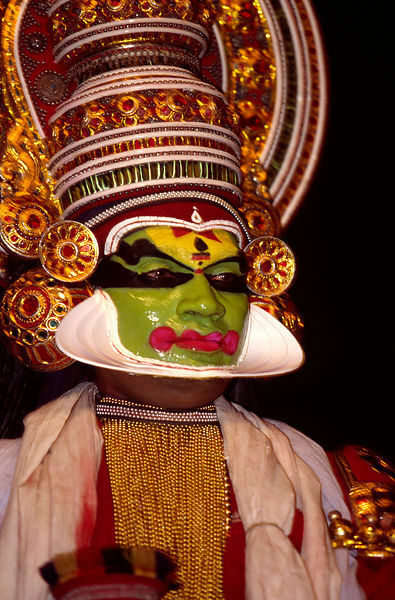 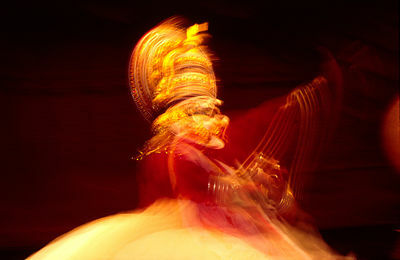 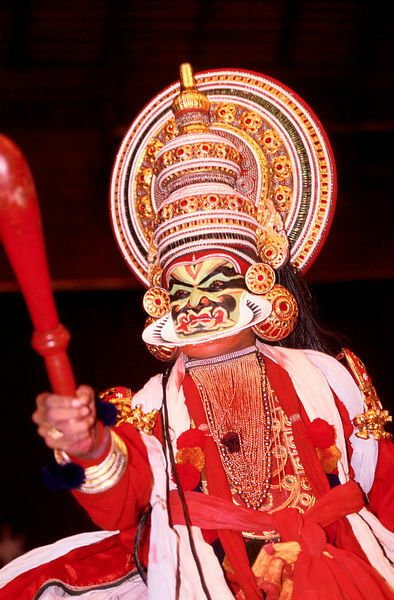 India - Kerala - An actor applies his make up before a performance at the Kerala Kalamandalam.